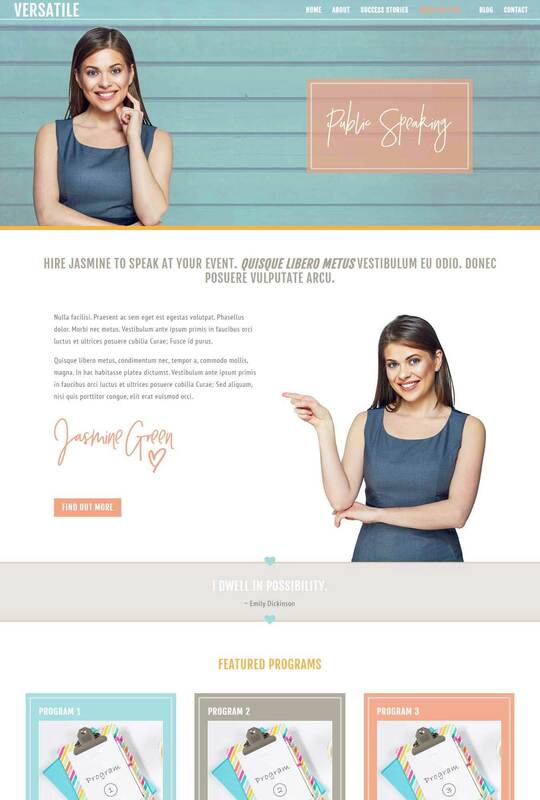 Versatile is a pretty, feminine child theme for the Divi Theme from Elegant Themes. 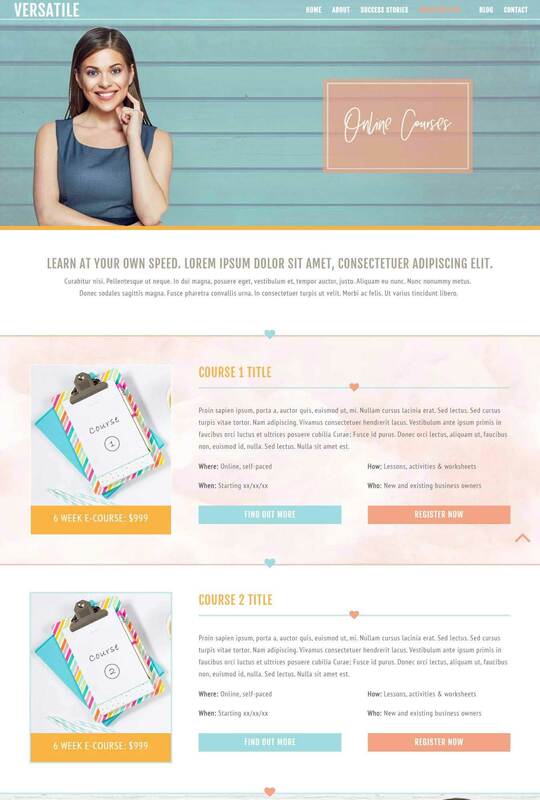 Designed for Coaches, Mentors, Trainers, Course Developers and Information Marketers, Versatile comes with everything you need in a child theme. Versatile comes with 9 preconfigured page layouts including a long form landing/sales page to promote courses and other content. 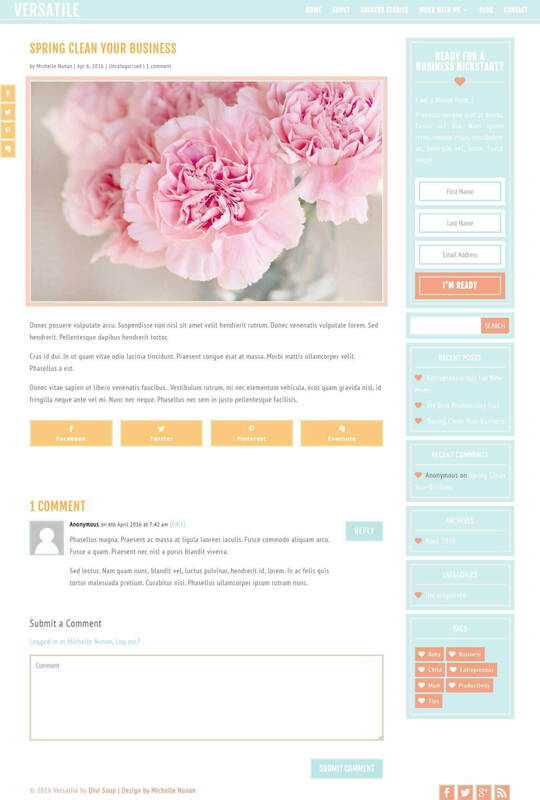 Versatile also has styles included for Inline and Sidebar Monarch Social Sharing as well as 3 prestyled Bloom optin forms which are included in the homepage, footer and single post page layouts. There are also Divi Optin forms predesigned for the homepage and footer (as seen in the demo) if you do not use Bloom. There is Google Font, Custom Font and Font Awesome Integration included. 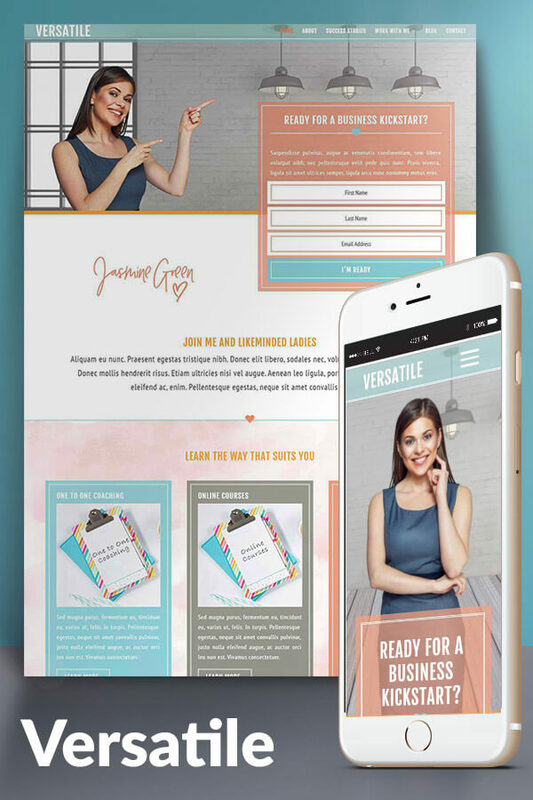 Versatile is Divi 2.7+ compatible. 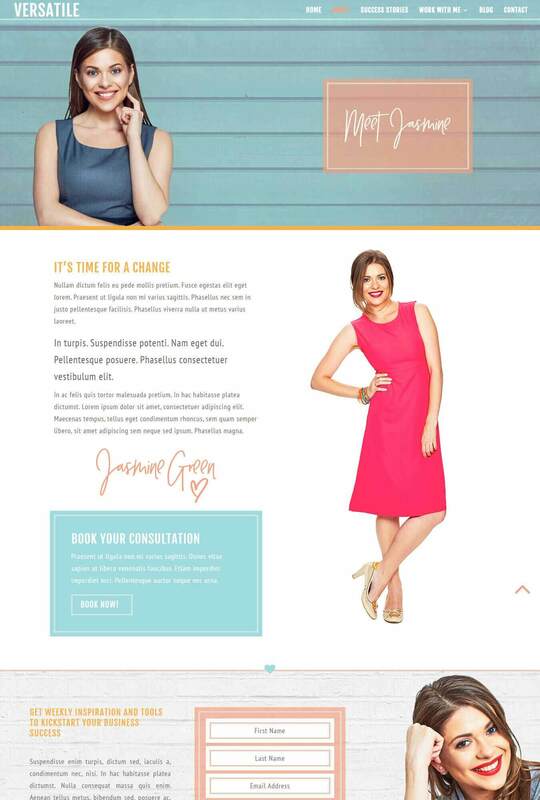 This child theme requires the Divi Theme from Elegant Themes parent theme to be installed. 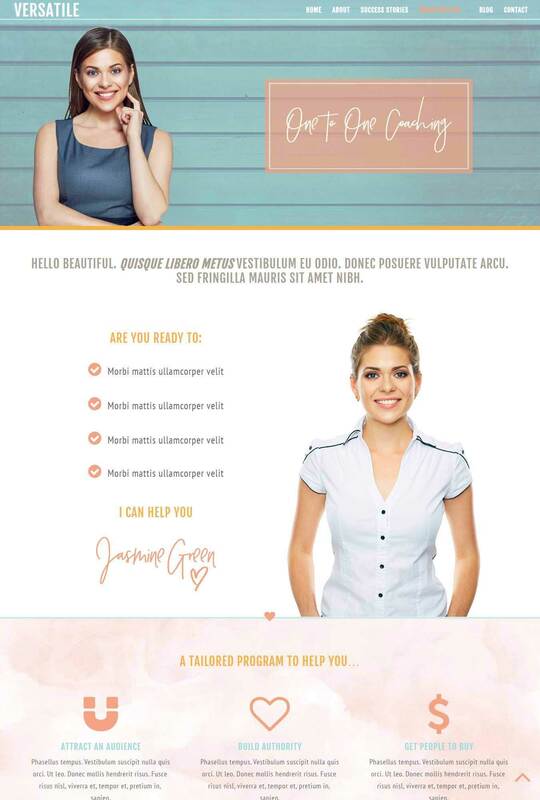 You need an active Elegant Themes subscription for this child theme to work which is not included in the purchase price of this product. To use the Monarch and Bloom plugins you must have a developer level membership. Bloom and Monarch are also not included with this child theme. License information: Once purchased, you are free to use this Child Theme for both personal and commercial use on as many sites as you like for as long as you like. Support and updates are provide for 6 months from the date of purchase. To receive support and updates after 6 months you will need to purchase the child theme again. The child theme will continue to work without an additional purchase, however Divi Soup is not responsible for any conflicts due to updates with WordPress, Divi or any third party plugins or extensions. 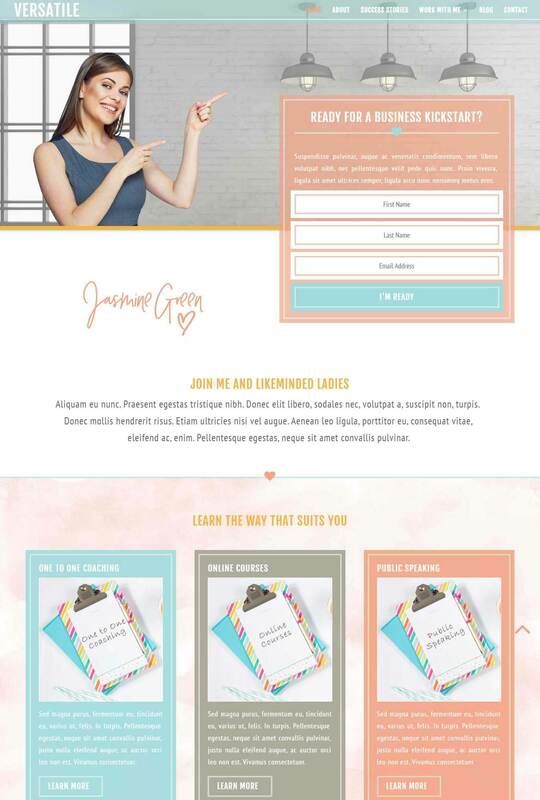 Is it possible to change the fonts and colors and make this a more masculine theme? I like the layout and the lead capture form and think it could work. Please advise. Thank you in advance.